Due to the amount of enquiries regarding a Paisley calendar we are pleased to announce we have a partnership with photographer Raymond Robertson and Ta Ta Bella`s tearoom on Paisley`s high street to bring you a calendar for 2016. All calendars are A3 (300mmx420mm). 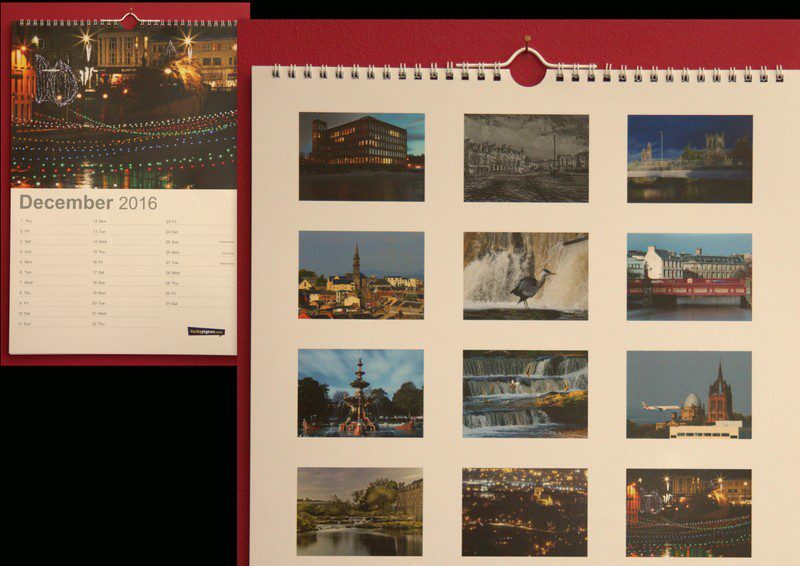 Below are some examples of the calendar which are priced at £15 and can be picked up in person at Ta Ta Bella`s tearoom, directly across from Paisley Museum. As you can see the calendar has photographs from all around Paisley showing some of the wonderful scenery and architecture of the town, including Raymond`s favourite spot down by the Hammil`s. Get down to Ta Ta Bella`s as stock is limited. Dear Piazza Shopping Centre Is modern medicine changing our views on dentistry?